Owing to our constant quest to innovation and commitment to excellence, we have been able to bring forward a wide array of excellent quality Fruit Juice Machines. Our firm is a trustworthy enterprise, offers excellent quality Fruit Juice Machine that is made available in multiple sizes and capacities. Manually operated, the proposed range of juice machines is easy to use and clean & requires minimal maintenance. Designed to press citrus fruits such as sweet lime, orange, lemon and pineapple, this juice machine is stringently tested by our quality examiners on various parameters. Our clients can avail from us high speed Fruit Crushing Machine that is highly appreciated and acclaimed by the clients for its efficient performance and longer service life. 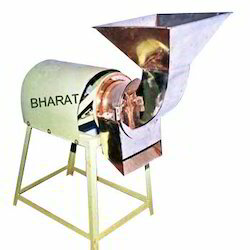 Manufactured using optimum grade raw material and sophisticated techniques, these machines find their application in hotels, restaurants, homes and various other places for the fine crushing of food. Our clients can avail from us a comprehensive range of heavy duty Fruit Juicer, which is designed and developed in strict adherence with industry defined standards and norms. Post manufacturing, the range is stringently checked and tested to ensure delivery of only defect free products at client’s end. 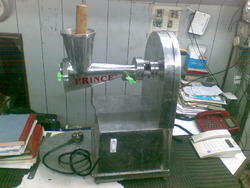 Available in standard and customized designs, these juicers are offered at industry leading prices to the clients. Looking for Fruit Juice Machines ?